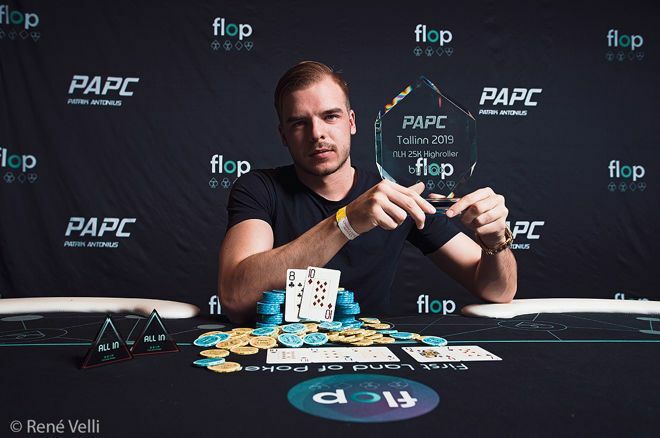 It seems that Baltic countries have been doing a very good job in promoting poker, which resulted in the first Patrik Antonius Poker Challenge (PAPC) at the Olympic Park Casino in the city of Tallinn, which is the capital of Estonia. The winner of the first High Roller event that was a part of this tournament was Pauli Ayras from Finland, who managed to win a total of €163,300. The event required a buy-in of €25,000, which is the single highest buy-in required in a poker event played in Estonia. Until this high roller event, the biggest buy-in was €10,500 back in 2010 as a part of the EPT Tallinn High Roller event. High Rollers are not that common in this part of the world, and there were a total of 17 players who took part in this event. The event did not take long to complete, as the final table consisted only of four players, neither of them being from Estonia. Ayras told the reporters that it was really nice to win the event and added that the heads-up play had been the most exciting part of it. He stated that his heads-up opponent had been a tough player from the Netherlands and that he had been the best player in the tournament. His appraisal of Teun Mulder was indeed justified as Mulder is a great poker player who is a tough nut to crack, especially in the heads-up play. Mulder won a total of €122,400 and was followed by Koray Aldemir from Germany, who won €81,600. The last place in the final table was occupied by Tommie Janssen from the Netherlands, who managed to win €40,870. Ayras is already familiar with High Roller events as he managed to finish second in the €25,000 EPT Barcelona High Roller in 2019, having managed to outlast legendary poker players such as David Peters and Alex Foxen. The name of this tournament is the Patrik Antonius Poker Challenge as it was created by Patrik Antonius himself. In fact, he also applied for the tournament but did not do well in the end. Patrik Antonius is a professional poker player from Finland who has managed to achieve great results in a short period. He was born in 1980 and started playing poker when he was only 12 years old. He also played a lot of big tournaments during his career, winning one European Poker Tour title and cashing out numerous other events. The Main Event of the Patrik Antonius Poker Challenge is currently underway, and it required a €1,500 buy-in. The last event is the €10,200 Championship Event, which will start on April 6 and is also considered a high-roller event.